At TurboSquid, we get a unique perspective on game engines. Instead of learning every facet of a single engine to make a completed game or experience, we instead learn a single facet of every engine on behalf of artists that look to us for guidance. We recently announced StemCell, which (among other things) is an automation process that connects artists that want to focus on the platforms they’re comfortable with to all kinds of audiences by converting models from formats they know to various platforms and making them as if they were made specifically for those engines or renderers. 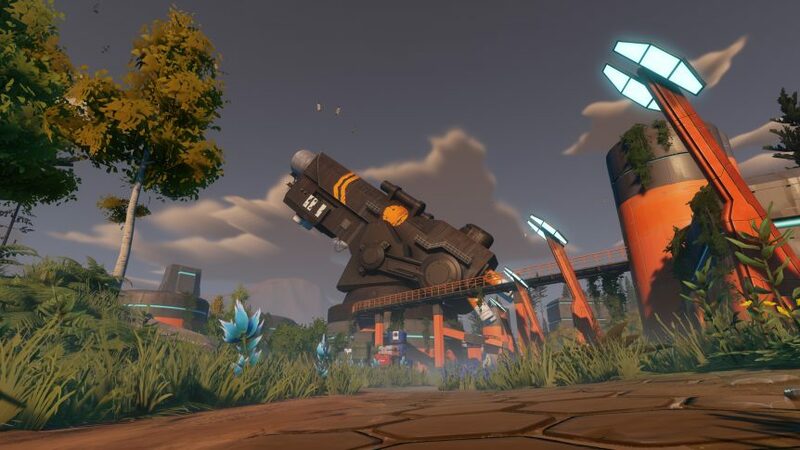 Recently, we’ve been getting well acquainted with Amazon’s Lumberyard Engine. It’s been a journey that has given us an appreciation for the LY team’s work on not just pushing real-time rendering to new heights but their focus on making the engine more accessible for artists. 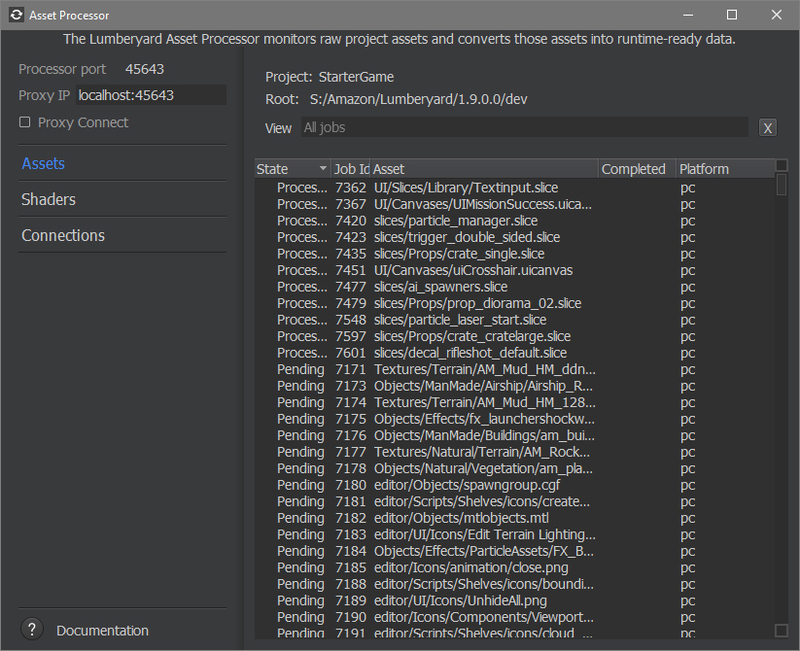 Once upon a time, Lumberyard was CryEngine, but that day has long passed. 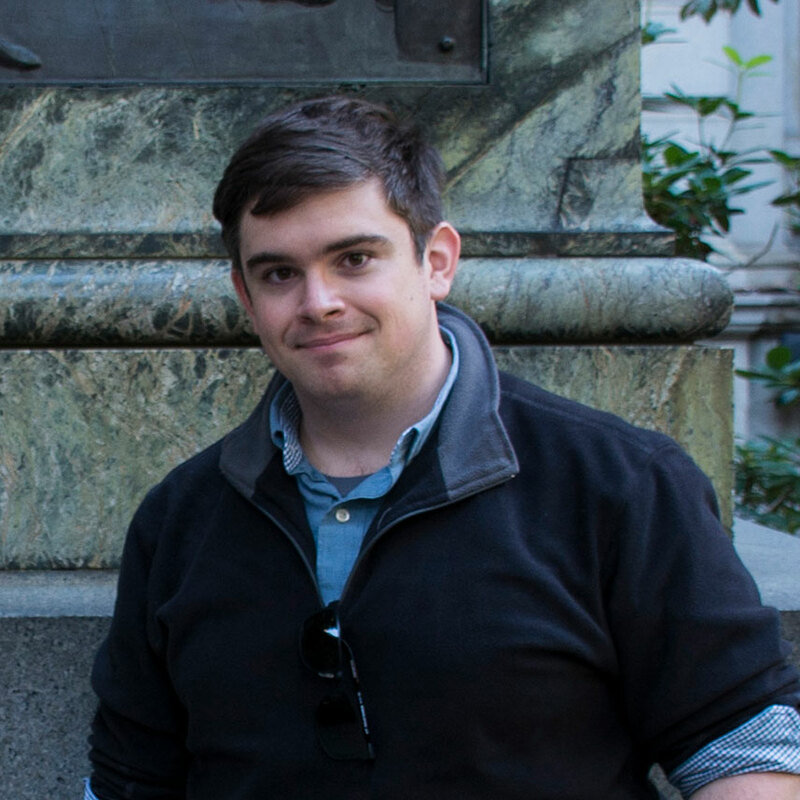 The team proudly says that more than half the code is new, and the content import pipeline is all the better for it. From a 3D modeling perspective, making environments in Lumberyard means that you’re working with a truly real-time GI lighting system. Among other things, this means that you’ll never have to bake a lightmap and you don’t have to work with a second UV set. The engine is also using PBR spec/gloss materials, so texture work done in modern toolsets is going to look great and predictable going into the engine. Time of day is fully real-time, and what you see is what you get. Once you have a model to bring in, everything is handled by the Asset Processor – it takes everyday mesh and texture formats like .fbx and .png and converts them into engine specific files like .cgf and .dds. It’s constantly on and doing the most tedious parts of asset importing in the background so you don’t have to. The asset processor is invisible during use, quietly converting assets in seconds. The other obvious improvement is the fbx importer, allowing you to specify rules on import. Don’t like where the pivot point ended up on your file? Don’t worry, just make a rule to fix it! Want to split the fbx into multiple meshes? Just say so! It gives artists real agency in chiseling out their own workflows. Better yet, it’s a modification of default import behavior – if you’re bringing assets into the engine and just want default settings, you can just drag and drop without even needing to look at a menu. Those features form the backbone of the team’s efforts to make artists’ lives much less frustrating, and are tangible improvements to the toolset. Add these backend improvements to the absolutely gorgeous front end, and making a beautiful scene in Lumberyard is simpler than ever. Amazon’s team has been hard at work taking the existing engine and making it look even better – their focus on pushing real-time rendering technology at the very high end is on full display. 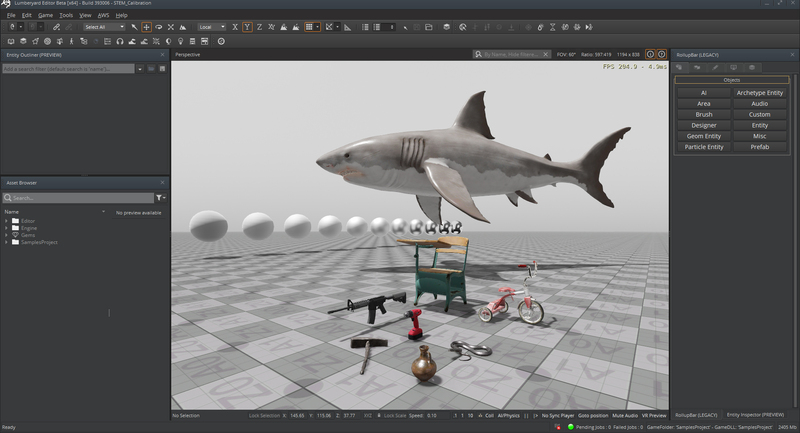 Continued development on Lumberyard here at TurboSquid means that we’re moving closer to unlocking a library of StemCell compliant, photorealistic stock 3D content ready made for Lumberyard – no converting, no guesswork with materials – it all looks and works as intended. 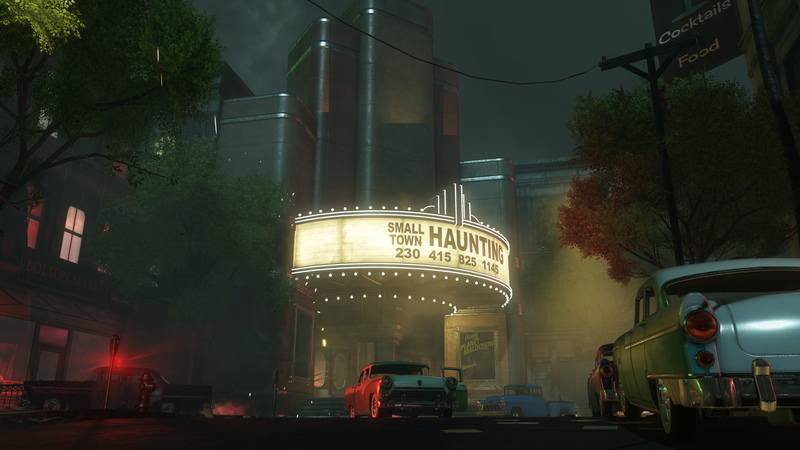 Add a truly real-time lighting system ready to take them and it’ll be possible to use the two together to make even complex photorealistic environments come to life in a fraction of the time!